Limited edition set (edition of 8) with a photography signed by the artist, a CD with a video and exclusive content and a certificate of authenticity, 50*70cm. 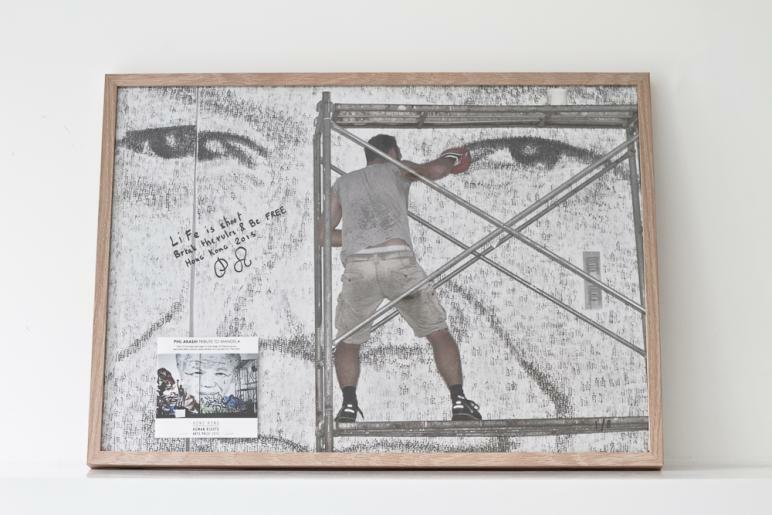 The CD “Tribute to Mandela” includes a video of the Street Art Performance, exclusive texts, photos, press reviews and quotes from the artist. Learn more about the Street Art Performance here. 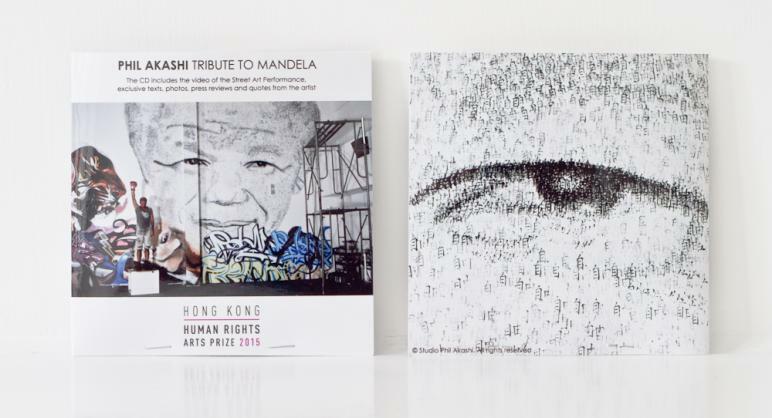 Learn more about the Hong Kong Human Rights Arts Prize here.